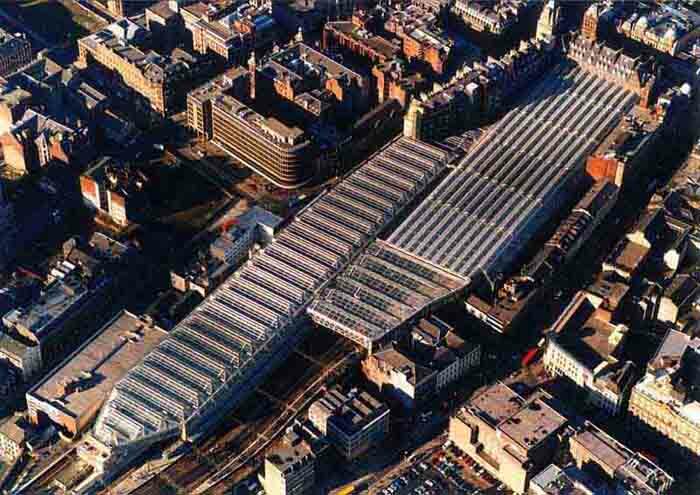 Atkins have completed a number of significant interventions within the Category A listed Glasgow Central Station. Main entrances from Union Street and the low level station have been transformed in advance of Glasgow’s Commonwealth Games along with the main concourse washrooms in an attempt to elevate the quality of passenger experience within the internationally significant station building. The presence of the low level station within the upper concourse has been heightened through the introduction of tall, delicate archway structure which recalls the original decorative gateways and barriers. The significance of secondary access to Union Street has been intensified through the introduction of large format porcelain tiles which create a dialogue with the ashlar sandstone and granite of the original building. The large format gates, like the archway, feature ornate metalwork based on the motifs and symbols found in the original station environment. There was an over reliance on complex signage within the station and there was a desire to simplify the passenger journey and communicate important gateways from a distance through material and form. Although significant in scale the new Arch and gateways are elegantly proportioned and delicately perforated, laser cut steel plates help belie their structural weight. We have very much enjoyed working with the Central Station team and congratulate them on their success in becoming ‘European Station of the year 2014′. To see all listed projects on a single map please follow this link.